As part of a series of features examining Greek language education in the USA, we present excerpts from a discussion between Gerasimos Arsenis and Nancy Biska. Mr. Arsenis, former Minister of Education in Greece, is now a member of parliament. 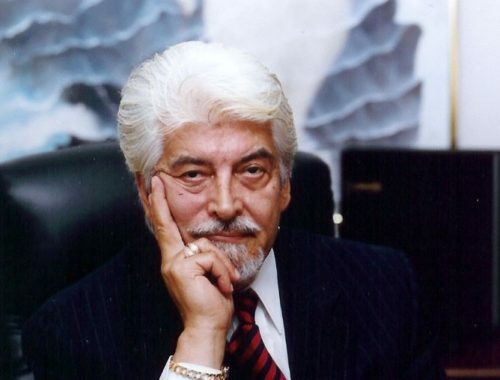 He is affiliated with the governing PASOK party. Nancy Biska has served as managing editor and journalist for leading Greek national and international newspapers and magazines. Over the past fifteen years, Ms. Biska has held the position of Producer for the BBC Greek service, and has produced and hosted broadcasts for an independent Greek television network in New York. Ms. Biska, who has received numerous awards for her contributions to Greek culture, is President of the Democracy Foundation. The interview, originally conducted in Greek, has been translated by Nina Gatzoulis. Nancy Biska: I would like to discuss the issue of Greek education of Greek American youth. You probably have been informed about the issues that the Greek schools of USA, Australia, Canada and generally the schools of the omogeneia abroad have been facing. Gerasimos Arsenis: Look, the issue varies from country to country. Biska: You’re right. The biggest problems concerning the Greek language are in the States. Arsenis: I was aware of the language problems while I was the Minister of Education and I know what is going on right now as well. The Greek education of Greek-American children, and we are talking about primary and secondary education, lies exclusively in the hands of the Church. There is a tradition, at least while I was in the Education Ministry, for the Greek Church not to really press Greek education. There is no compliance from the Archdiocese in promoting the language. Biska: You, however, Mr. Arsenis, were planning to send Greek educators to the U.S.
Arsenis: I had proposed to send eighty educators from Greece because some of the Greek-American educators (in USA) need strengthening in their teaching and many of them are not trained teachers. I can help the Greek education in the States because we do have such a program of supporting the Greek language abroad. It is essential that second and third generation Greek children have some knowledge of the Greek language. I don’t mean that second and third generation kids will speak Greek fluently, but the language should not be something completely foreign to them and they should develop ties with the Greek culture. Here is where the problem lies: when the Greek omogeneia loses the Greek language, in essence it loses ties with the Greek culture. Biska: Let me tell you something first. I want to inform you that the Greeks in USA are aware of your intentions to send the educators back there. They are also aware of the fact that the rejection came from the Archdiocese in New York. We tried to probe for an answer from the Archdiocese through questions on special live air shows, but we never received an answer. They are saying that they are examining it. Is it possible they did not find some time to respond to such a vital issue? Arsenis: I am very aware of these issues and I know what the responsibilities of Church and Greek communities are in the States. Cooperation should exist between Church and community, after all it is the community’s responsibility to enrich the youth with the Greek education. 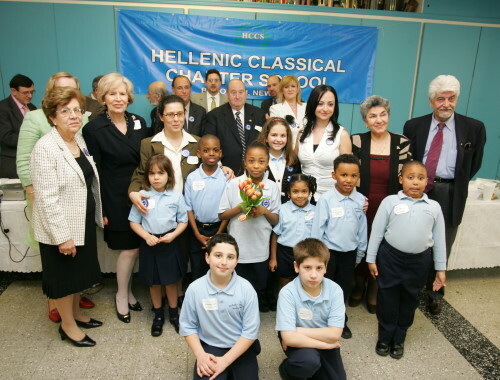 We can not deny the participation and the role that Greece wishes to play in educating the Greek-American youth. We have already sent in several urban centers education administrators that are watching how Greek children are educated. And I am telling you this seriously: the Greek government wishes to send many educators in America.